Locational Advantage : Apple Country Resorts is set at the highest peak in Manali. 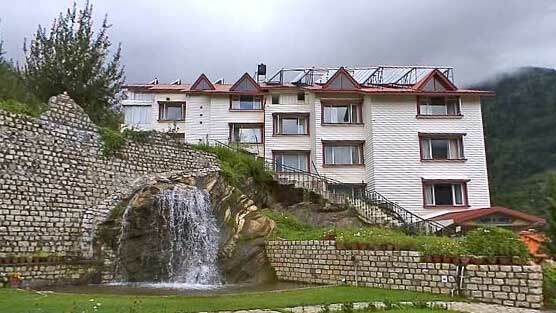 Apple Country Resort is a beautiful resort nestled on the soaring hill of Manali. The glimpse of snow-clad mountains sparkling in the presence of sunshine let one mesmerized. The resort in its quiet atmosphere offers a blissful seclusion with the comfort and efficiency of a modern luxury resort. In addition to impeccable services, comfortable accommodation the resort offers amazing Ayurvedic spa therapies and other recreational activities. Hallmarked for its exclusiveness and high range hospitality, Apple Country Resort stands as one of the ideal holiday destinations in Manali. The resort has exquisitely designed 24 rooms and 15 suites. Each room, equipped with the best modern amenities, ensures a luxury stay. Apple Country Resort has a multi-cuisine restaurant where one can savour the delectable delicacies of pure vegetarian dishes. It also offers a stylish bar. Airlines Desk, Bar, Car Rental Facility, Credit Card Facility, Doctor on Demand, Games Room, H/C Running Water, Car Parking, Nature walk, Restaurant, Safe Deposit Locker with Cashier, Shopping Walkway, Valet, Wheelchair on Request, Wake up alarm service, Travel Desk Service, Telephone, Steam Room, Sauna, 24 Hours Room Service, Postal Services, News Stand, Medical Facilities, Internet Connection, Hair Dryer, Reception, Discotheque, Beauty Salon, Coffee Shop, Child Care Facility, Banquet, Music Channel, Courier Mail Service, Fax, Gym, Laundry, Meditation & Yoga, Currency Exchange, Newspaper, Power Backup, Safe Vault, Secretarial Service, State-of-Art Health Spa, Satellite TV, Airport Transfer.